How many Keilors are there? Many suburbs’ names come from existing place names across Melbourne – some are recycled several times. 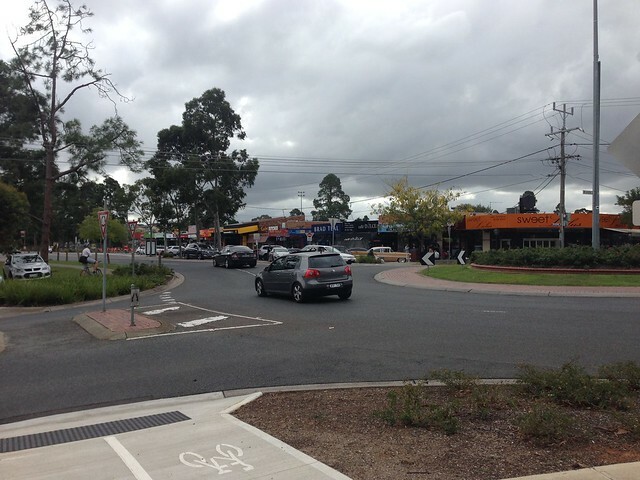 Keilor is one example of this phenomenon. The suburb itself is large but has spawned a variety of associated place names. These range from railway stations and bus stops to medical facilities and shopping centres. It was even the name of a pre-1994 local government. But just how many variations of Keilor are there? The original suburb covers a large area but has a relatively small population. This is mainly due to most of the northern part being grassland and open fields. It was a campsite during the 1850s/60s Goldrush and subsequently became a separate township until swallowed by the urban sprawl of Melbourne. With its long and thin geometry, Keilor North has an even smaller population than Keilor of only 67 people. Almost the entire suburb is vegetation and scrubland, including the Organ Pipes National Park. It is part of the Sunbury Green Wedge. Keilor East (or East Keilor) straddles the Albion-Jacana railway and borders Niddrie, Sunshine North and Airport West. Keilor Downs did not even exist until 1990. This was because of the rapid expansion of the suburbs that took place in the area over this period. It consists almost entirely of residential development with Sunshine Avenue cutting the suburb almost perfectly in half. The smallest of the officially-gazetted Keilors, Keilor Lodge is another recently-gazetted suburb. It is only 0.86km2 in size and has a resident population of 1,752. Keilor Park is north-east of Keilor. Similar to many of the others, it contains large areas of green space including sporting fields and part of Steele Creek. It also has a branch of McDonald’s with some interesting reviews. It may not be immediately obvious, but this name is a portmanteau of Keilor and St Albans. Formerly known as St Albans East, the name was officially changed in the mid to late-1970s. The word ‘Kealba’ apparently came from a community group appointed by St Albans Park Secondary College in 1970 (now Kealba Secondary College) to come up with a new name for the school. This was to avoid confusion with St Albans Park High School. Other names put forward for consideration were ‘Albakei’ and ‘Keialba’. Today, the suburb contains a landfill and several residential subdivisions. The list here now takes us into non-gazetted suburb names. Keilor Plains Station is actually located in St Albans and has no associated suburb name. I can only assume that they named it this way when it opened in 2002 to avoid confusion with the existing St Albans Station and to avoid tying the name to any single one of the many Keilors that it was built to serve. While this is not an officially-gazetted suburb name, there is a small part of Keilor Downs known apparently as ‘Keilor Views’. There are some indications of this online, but the only solid evidence that I could find is the name of a school. This was not one that I was expecting to find. The name appears to be a simple typographical error when referring to Keilor East. I thought that this might be an alternative name for parts of Keilor Downs but the only references that I can find using the ‘Keilor West’ name refer to areas in Keilor East only. These range from articles in The Age to SES flood information. This is another locality name used principally by a school. It seems to used in some southern parts of Keilor East but there is scant evidence of this once again. The only other reliable instances of this name include a VEC polling place and some local businesses. How many is that again? Excluding the dubious ‘Keilor West’, that adds up to no fewer than 10 suburb/locality names containing Keilor. There are many more examples around Melbourne, such as Sunshine, Cranbourne and Camberwell, if you are interested in looking further into this topic.